VIV Bangkok-2017 was a great success for Ceva Polchem. A very rich event with lots of interesting meetings and new contacts. Successful showcase of Ceva Polchem and a new identity in a nice very way. 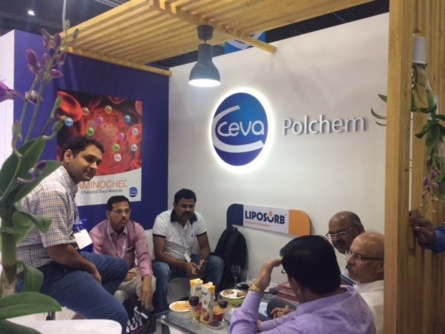 With the efforts of all the people of Ceva Polchem, VIV-Asia 2017 was a great success for all the customers and the people of Ceva POlchem, India. VIV- Asia is a huge platform to showcase our products, meet new people, customers & clients to enhance our market growth. Ceva Polchem presence at VIV Asia 2017, Bangkok, was very much highlighted thanks to its welcoming stall. 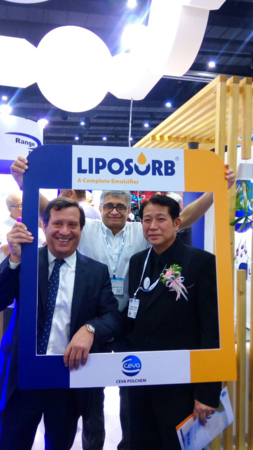 Two feed additive flagship products (Liposorb and Aminochel) were especially on display, attracting much attention. Customers and distributors from all across the world deeply appreciated the products by spending time discussing future collaboration with the Ceva Polchem team. At the occasion of VIV Asia, Ceva Polchem organized a conference on the use of nutritional emulsifiers at feed mill and layer farm levels. Distributors and customers from India, Bangladesh, Thailand, Malaysia, Egypt, Korea, Brazil, China got an opportunity to reinforce their knowledge during the technical presentations of two expert speakers, followed by an interactive question-answer session. 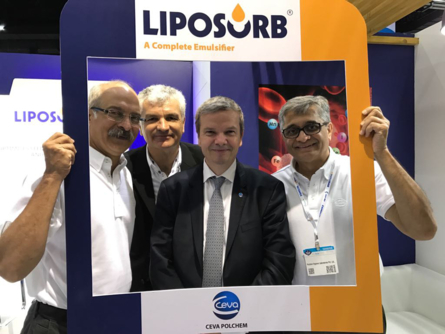 This conference also commemorated the launch of Liposorb movie that has been developed jointly with Ceva technical people and veterinarian developers. The video will shortly be available through Ceva TV.